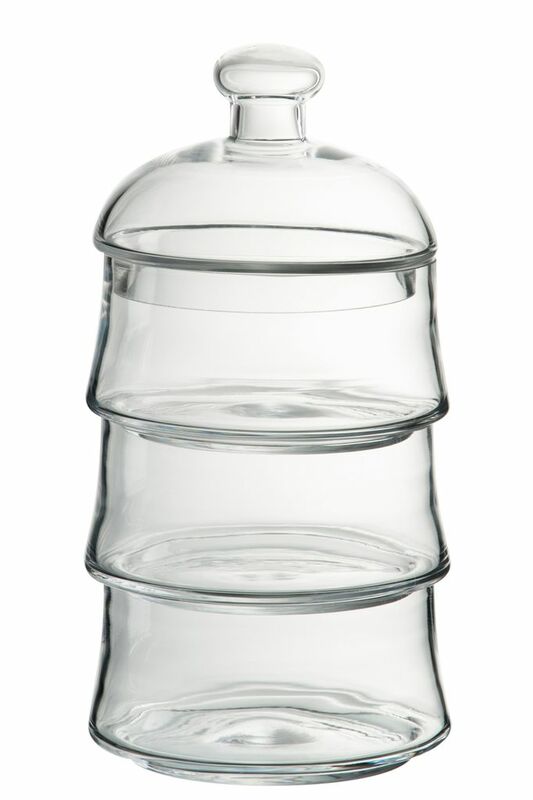 This multi-purpose glass jar with lid is both practical and stylish. 3 layers to store food, products or as a stand alone feature on your coffee table. 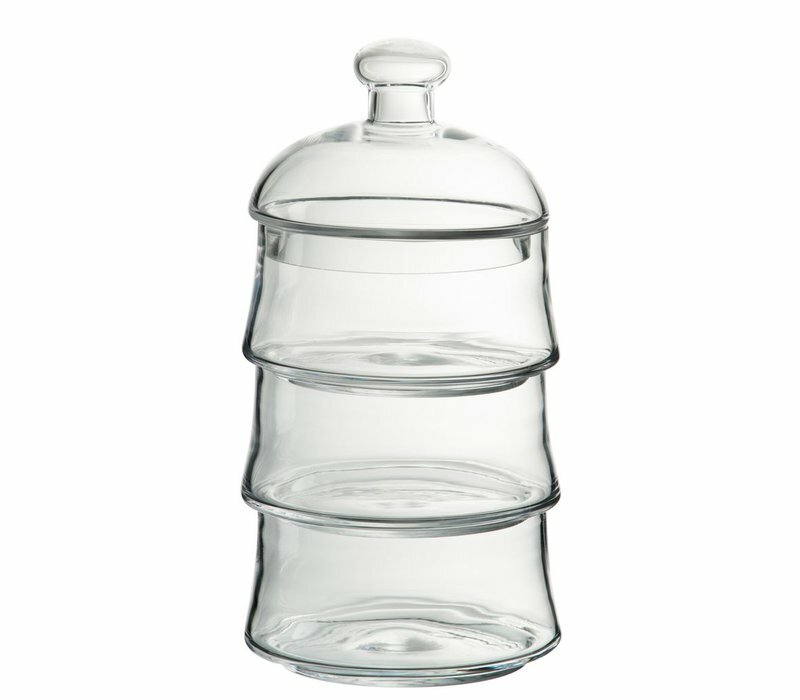 2 level storage jar with lid also available.